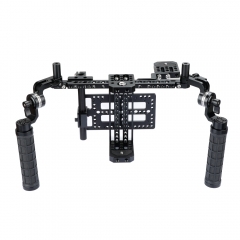 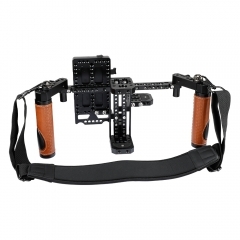 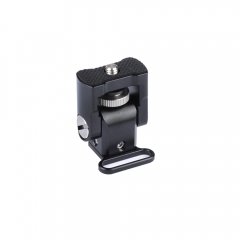 It is a basic cage, compact and adjustable designed, for 5" and 7" LCD monitor (ideal for ATOMOS NINJA INFERNO), constructed with aluminum alloy for durability. 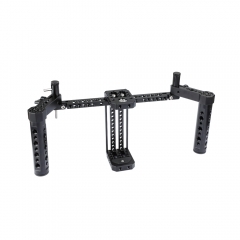 You could loosen the Allen key screws, then slide along the grooves on the rack to adjust the height or grooves on the plates to adjust the width to fit your monitor. 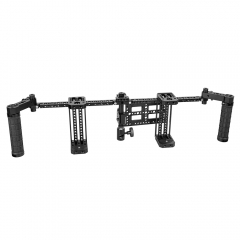 A specific plate is attached for mounting wireless HD video transmission system. 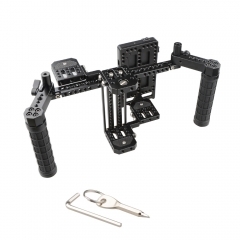 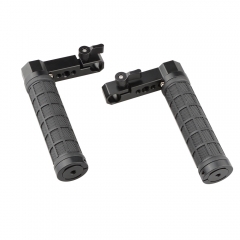 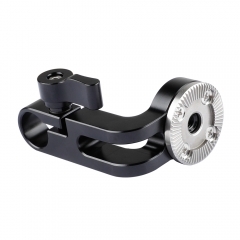 In addition, the handgrips with rod clamp connectors could be adjusted horizontally in different positions for comfortable holding.